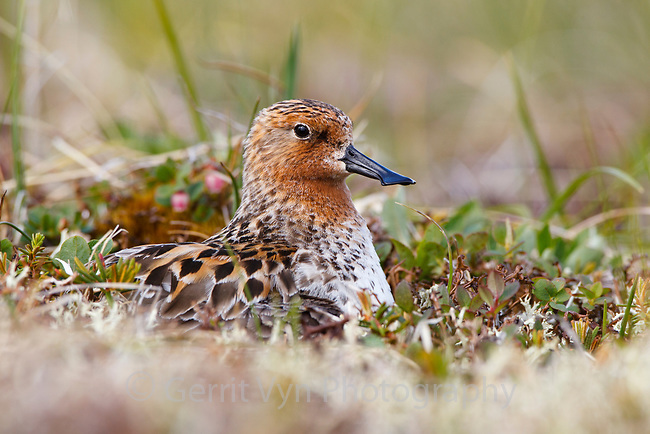 Adult male Spoon-billed Sandpiper incubating a nest. This is the only nest the team found that was not collected for the captive breeding program and the first nest ever filmed. Chukotka, Russia. July.